The Stadt Wien is ideal for those looking for a really nice and peaceful hotel to go back to after the slopes close. The hotel's owners, Klaus and Christine, pride themselves on the excellent service from their very helpful staff. There's a welcome mix of stylish design with crisp, clean lines and more traditional elements such as chunky wooden beams. This runs throughout the hotel making relaxing very easy here. The large bar and lounge has comfy and colourful cushions to add to the contemporary feel. You'll find the hotel on a gentle hillside above the resort centre so you have some pretty impressive views over the town, lake and surrounding forests. 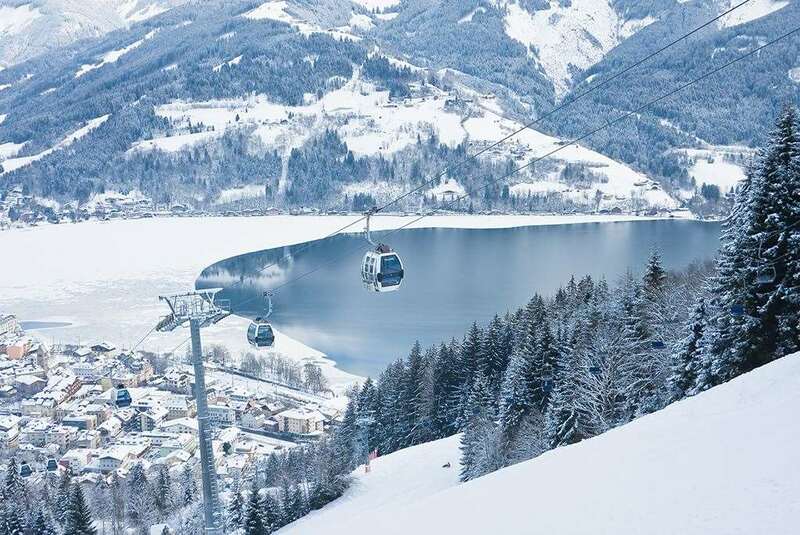 You're also very close to the speedy cityXpress gondola and the Abfahrt 16 blue run, so conditions permitting, you can ski straight up to the back door of the hotel. The wellness area is not to be missed. There's a fantastic heated outdoor pool which is a great place to chill out whilst looking out over the mountains. There's also a sauan, steam room and massage treatments for a little holiday treat too. The Stadt Wien has it all really - location, atmosphere, great décor, a fantastic spa and friendly, welcoming staff. Location: 5 minutes’ walk from the centre and 3 minutes’ walk (300m) to the lifts and ski school, ski bus stops outside. The 57 bedrooms slightly vary in style, but each is modern and a good size with plenty of natural light and lovely views. There's a choice of single, Austrian twin or junior suites which also have balconies. All rooms come with a flatscreen TV, free Wi-Fi, a minisafe and full ensuite with hairdryer, bath or shower and wc. It's half board at Stadt Wien, and what a selection you have to look forward to. From the moment you walk in, you're greeted by the superb staff and a welcome drink after your travels. There are four modern and airy dining areas with comfortable seating. Start your days with a hot and cold buffet breakfast which include tea and juice bars. After your day on the slopes, head back for an apres ski snack between 3 and 5pm. I've stayed 3 times over Christmas and New Year and it is absolutely my favourite place on earth at Christmas! White lights line the cobbled streets on Christmas trees. Great bars, great atmosphere, and the frozen lake is stunning. 2 of 2 people found this review useful.